A bridge replaces missing teeth. 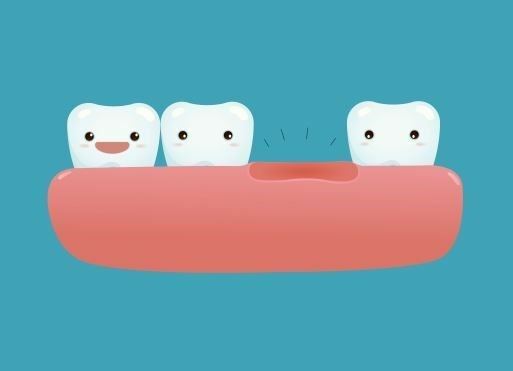 They ‘bridge’ the gap (often following the removal of a tooth) between natural teeth. They may improve your smile (aesthetics) and help with chewing (function). They can also help maintain the position of other teeth. A bridge can be made from gold, porcelain fused to a metal, porcelain (ceramic) or zirconium. Bridges are usually only recommended to replace one to three missing teeth in a row (depending on the location). A conventional bridge usually relies on teeth either side of the space to hold it in place. A cantilever bridge is usually used to replace one missing tooth. It is attached to an adjacent tooth on one side only. A Maryland or resin-retained bridge is made from plastic or porcelain with metal wings to glue the bridge to adjacent teeth. Usually very little tooth is removed from the adjacent teeth (conservative preparation). A bridge usually requires two appointments to complete treatment. At the first visit, your dentist will reduce the size of the teeth that will be used to hold the bridge in place. An impression (mould) of the teeth will be taken and sent to a laboratory where a dental technician will make the bridge. At the second appointment, your dentist will glue the new bridge into place.